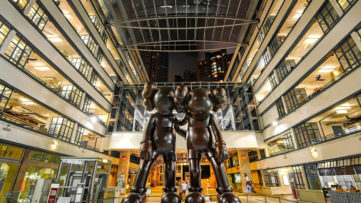 Urban art has gained a lot of momentum and popularity in recent times, and with so many great artists falling under this expression, the artistic movement might as well be one of the most significant in recent art history. Covering many different techniques and forms of expression, the borders of urban art spread wide. 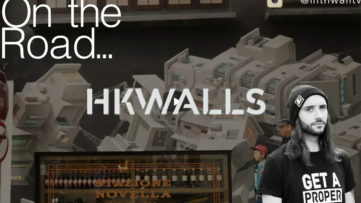 However, one of the contemporary Portuguese artists stands out, renowned for his groundbreaking carving technique, and he goes by the name of Vhils. 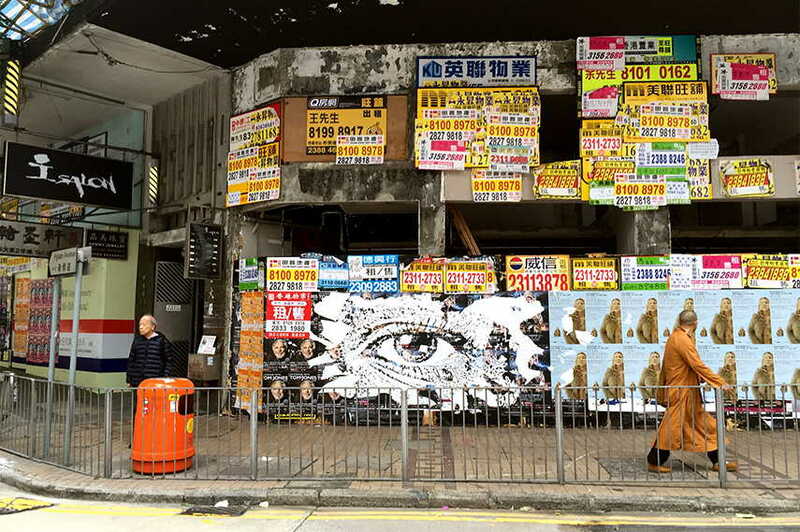 Using the environment itself as his canvas, his newest collection of work under the name of Debris follows the multi-site interventions throughout Hong Kong, including one of the city’s iconic trams (in circulation from March 2016) and the Vhils exhibition at Pier 4. Opening on March 21st, this will be one of the most encompassing representations of the compelling artistic approach of Alexandre Farto. Born in 1987, Alexandre Farto adopted the name of Vhils in his days as a prolific graffiti writer in early 2000s. Gaining prominence after his work of a face carved into a wall appeared alongside a picture by street artist Banksy at the Cans Festival, his innovative carving technique has propelled him into the top of urban contemporary artists. He has developed his visual expression through a myriad of media – from stencil painting to wall carving, from pyrotechnic explosions to 3D modeling – and it has been described as brutal and complex. 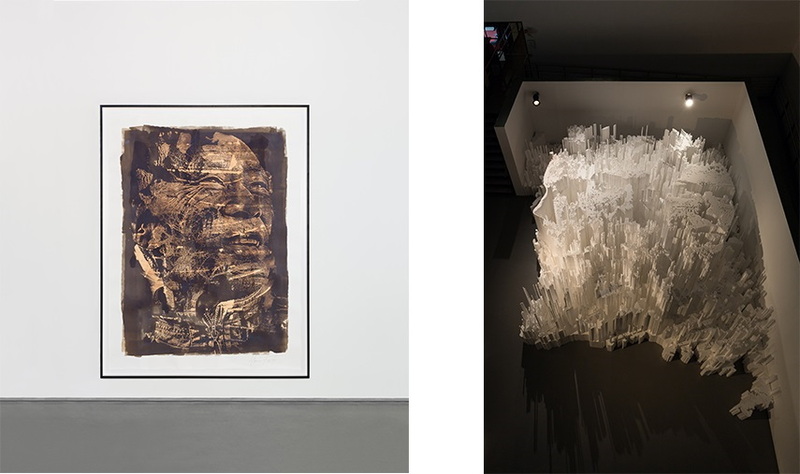 Displaying in both indoor and outdoor settings, he already has several shows under his belt, including Entropy at Magda Danysz Gallery in Paris (2012), Vera Cortes in Lisbon (2012), Visceral at MD Gallery in Shanghai (2012), Scratching the Surface at Lazarides in London (2009). His newest body of work includes multiple site-specific interventions within Hong Kong, reflecting upon the rich local cultural landscape. HOCA (Hong Kong Contemporary Art Foundation) has chosen iconic sites across the city for the exhibition, including a moving tram and the ferry pier, showcasing Farto’s undoubted skill with a variety of techniques, as he utilizes drilling, billboard collages, neon light boxes and sculpture to deconstruct and rearrange components. The moving tram will truly represent a tribute to the distinct history of the city and its inhabitants as Vhils transforms it into an art object by applying layers of posters onto the facade of the carrier. 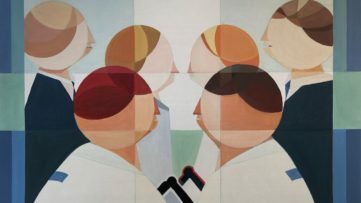 The exhibition taking place at Pier 4 will emphasize individuality and self-reflection in the crowd-filled city, corresponding to the life in Hong Kong. Installed across an elongated exhibition space, the audience will have a chance to see a video of the streets of the city portraying a decelerated flow of the crowded city sidewalks. The whole exhibition embodies HOCA’s attempt to promote contemporary art within Hong Kong, enhancing access to art in all of its forms. 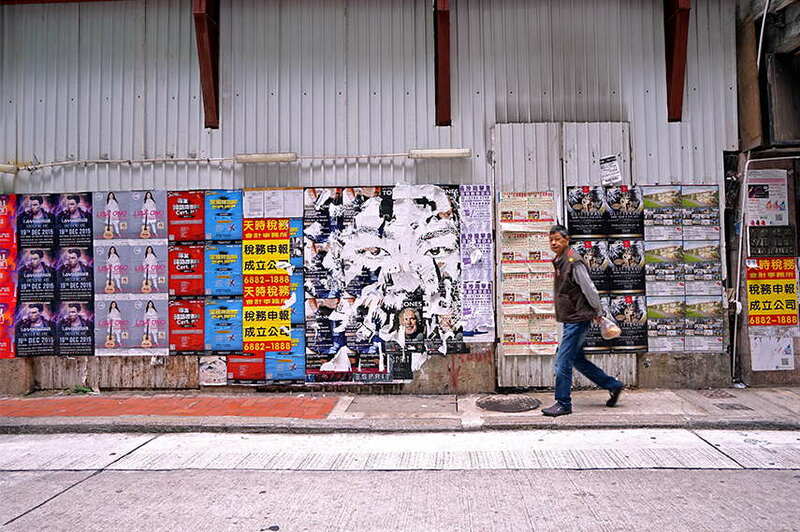 Although young, Vhils has already left a strong impression on the artistic public, and continues to do so. Developing his carving technique and mixing it with a plurality of media, he keeps creating astonishing artworks and expanding his impressive oeuvre. 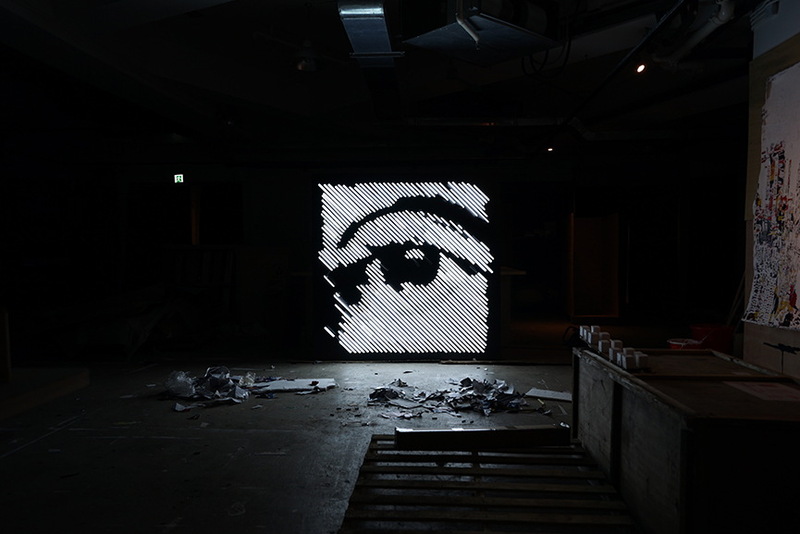 In association with the non-profit organization of HOCA, Vhils draws inspiration from the city’s rich culture and history and deconstructs the images and tropes that have become symbols of the city itself, reflecting on the nature of urban societies. The modified trams will begin circling the town on March 12th, and the exhibition taking place at Pier 4 will open on March 21st, and will last until April 4th, 2016. Featured image: Vhils – Glimpse, 2016. Images courtesy of HOCA Foundation.